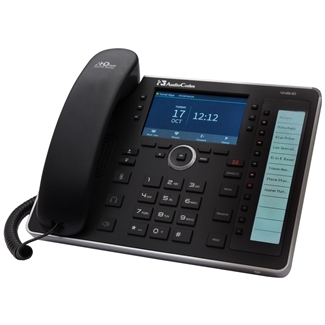 AudioCodes 445HD is a professional IP phone that has been certified for Skype for Business. 445HD features support for 6 lines and has 6 user-customizable multifunction keys and 4 soft keys. The second display with 12 quick action keys provides extra customizing options that are contextually updated. 445HD gives you high-definition audio quality from the handset, the full-duplex speakerphone, and using a headset via the USB or RJ9 ports. 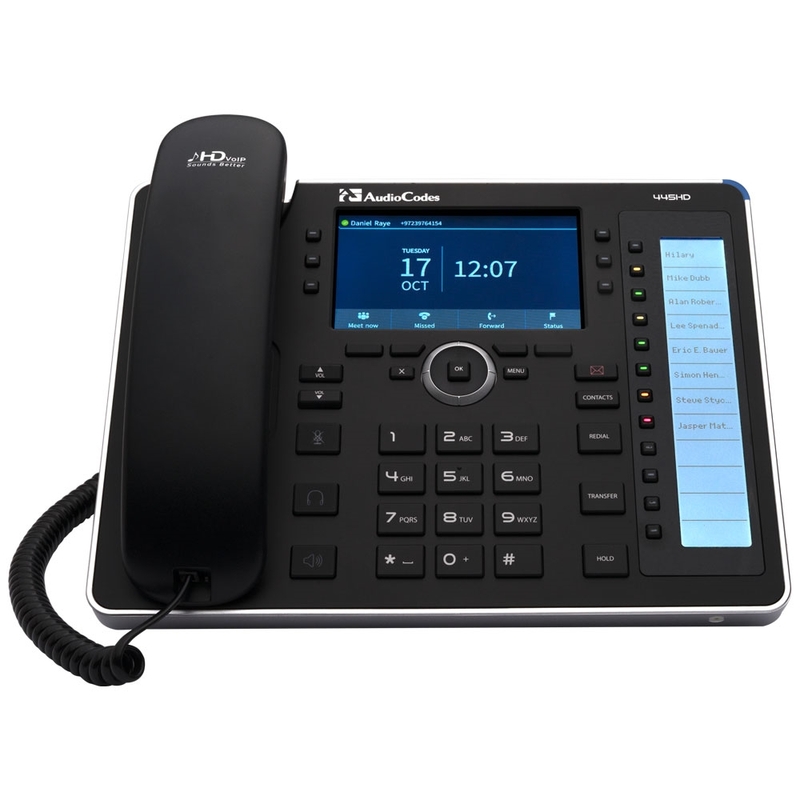 With the robust security features, Gigabit Ethernet and PoE support, and centralized management options that are demanded by business today, 445HD is a mid-range VoIP phone for offices, cubicles, and enterprise workers.